General Hospital's annual Nurses Ball is only weeks away! You are officially invited to the Nurses Ball May 24 – 26th! This year promises to not disappoint with more fabulous dresses and performances that ever before! To prepare for the upcoming festivities we wanted to take a look back on some of the most memorable moments in Nurses Ball history. Keep checking back for vintage clips from the first Nurses Ball in 1994! Richard Simmons has a long history of crashing the Nurses Ball. His love/hate relationship with Lucy Coe has caused chaos at the Nurses Ball for years. Here, an enraged Richard Simmons causes a ruckus at the Nurses Ball when he chases Lucy Ball out on stage in her underwear. Richard Simmons Attacks Lucy Coe - 2013 Nurses' Ball|Richard Simmons gets thrown out of the Nurses' Ball.|Richard Simmons attacks Lucy Coe at the 2013 Nurses' Ball and is escorted out by security. 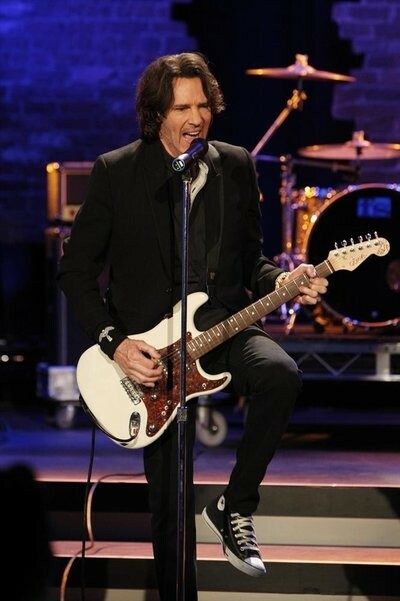 From the 2013 General Hospital Nurses' Ball. It wouldn’t be a Nurses Ball without a fight! The longstanding catfight between Brenda Barrett & Carly Corinthos Jacks comes to a head at the 2013 Nurses Ball. Brenda & Carly Argue - 2013 Nurses' Ball|Brenda gets in an argument with Carly at the Nurses' Ball.|Brenda Barrett shows up at the Nurses' Ball and gets into an argument with Carly. From the 2013 General Hospital Nurses' Ball. Get out your dollar bills, this is one performance you do not want to miss! If you've ever wanted to know what any of your favorite Port Charles men look like in their undies, you've come to the right place. Magic Milo & the Magic Wands take the stage and give the crowd a "New Sensation." Lucas, Felix, Michael, Nathan West, T.J.& Milo grace the stage with another amazing number full of dance and shirtless fun. Magic Milo & the Magic Wands|Magic Milo & the Magic Wands perform "New Sensation. "|Magic Milo & the Magic Wands take the stage and give the crowd a "New Sensation." Lucas, Felix, Michael, Nathan, T.J.& Milo grace the stage with another amazing number full of dance and shirtless fun. Damian Spinelli Sings "It Might Be You"
Every year we can expect a Port Charles resident to pour out their heart on the Nurses Ball stage. Watch as Spinelli wows the crowd with his romantic performance of "It Might Be You." Damian Spinelli Sings "It Might Be You"|Who is Spinelli singing to this romantic ballad to? Maxie or Ellie?|Spinelli wows the crowd with his romantic performance of "It Might Be You." The question is, who is he singing to? Maxie or Ellie? Epiphany & Sabrina Sing "You're Not Alone"|Epiphany & Sabrina end the Nurses' Ball with an emotional song.|It's the end of the 2015 Nurses' Ball. We hope that you have enjoyed all of the performances! Remember, mark your calendars for May 24 – 26th and keep checking back daily for more vintage Nurses Ball clips! 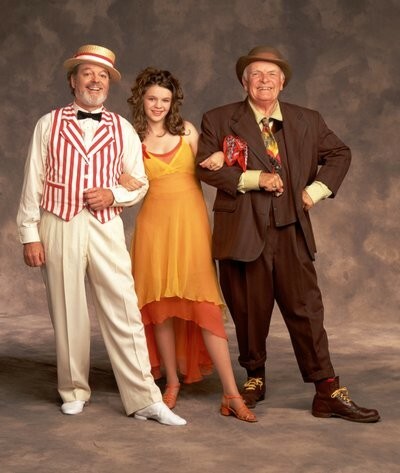 From the 1997 Nurses Ball, where Edward performed with Emily (Amber Tamblyn), and Amber's real-life dad Russ Tamblyn. 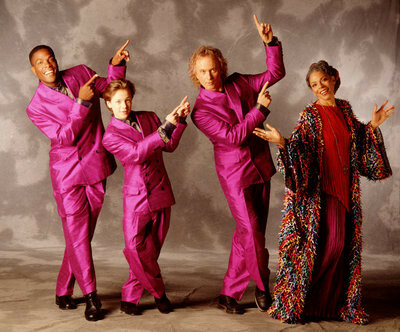 From the 1995 Nurses Ball: Joseph C. Phillips (Justus), Jonathan Jackson (Lucky) and Anthony Geary (Luke) serve as back-up singer to Mary-Mae's (Rosalind Cash) "Midnight Train to Georgia"
The First Nurses Ball 1994: To raise awareness and funds for HIV and AIDS research, Lucy Coe founds the annual Nurses Ball. What are your favorite moments from the GH Nurses Ball? Share them in the comments below!